You’ve seen the celebrity chefs on the Food Network, but what other careers in culinary arts are there? We can’t all be Bobby Flay after all! With the versatility of culinary arts, international students interested in culinary arts will find that there are many different career options within this industry. International students pursuing a career in the culinary arts have a wide variety of options from which to choose. Careers in the culinary arts include baking and pastry chefs, catering, executive chefs, personal chefs, wine sommeliers, and more. International students interested in any of these jobs will most likely attend universities or participate in a diploma program in order to prepare for the demands of the job. What exactly does a baker or pastry chef do? And what kind of salary can you expect from this type of job? A person who works as a pastry chef or baker in the United States can generally expect to earn between $21,115 and $31,263 USD annually. Jobs can vary for pastry chefs, and may involve such tasks as producing baked goods for a grocery store, working within a restaurant or neighborhood bakery, or even working in a glamorous, high-end restaurant. Responsibilities of this job include ordering supplies, overseeing kitchen staff, decorating and plating various desserts and pastries, and producing baked goods. International students interested in being a pastry chef must be creative and have a good eye for detail. Salary and educational requirements for jobs in catering vary depending on the specifics of the job in question. You may need to complete a diploma program from a trade school, a two-year college degree in food service, or a four-year college degree in family and consumer science/restaurant management. To work as a catering manager, an international student may need a bachelor’s degree and 2 to 5 years of experience in this or a related field. A catering manager’s salary in the United States can range from $30,279 to $57,788 USD annually. A catering manager’s job is one of the more varied careers in culinary arts and involves many different responsibilities and duties. A catering manager usually plans, directs, and manages catered events for an establishment or business. A catering manager will normally negotiate contracts with clients, assist in the selection of menu items, make arrangements with the venues and equipment, schedule the catering staff, and may also correspond with the correct personnel to meet customer needs. An executive chef can earn about $45,367 to $101,575 USD annually and is responsible for managing and directing the kitchen. Their responsibilities include menu selection, inventory, purchasing supplies, and budget control. Executive chefs will also update and create menu items, as well as develop new recipes. An executive chef is responsible for overall customer satisfaction and may require a bachelor’s degree and at least 7 years of experience in the field. A personal chef’s salary varies greatly depending on the clientele and number of years in the field, ranging from $19,352 to $88,093 USD annually. A personal chef can work for a single private employer or a variety of employers depending on the job market and personal preference. Generally, personal or private chefs visit households once or twice a month in order to prepare a large number of meals that the customer will then reheat at their convenience. Other responsibilities of a personal chef may include preparing food for an individual or group of people within their private household, on a yacht, or on a private plane. A personal chef needs to be in-tune with their clients’ likes and dislikes (and food restrictions!) when it comes to food. A wine sommelier has the responsibility of promoting the wine of his or her employer to different establishments. The travel involved in this job can make it one of the more exciting careers in culinary arts. Job responsibilities may include tasks such as monitoring the conditions of the wine cellar and working with kitchen staff to develop optimal food and wine pairings. An associate’s degree or at least 3 years of experience in the field may be required for this job. A wine sommelier can earn from $28,340 to $73,161 USD a year. These are just a few of the many exciting jobs in culinary arts that are available to you. All of these jobs require different years of experience and education so international students should do a little more research to see what’s required of them. It can be hard work attaining these jobs but any job involving sugar, food, or wine sounds like a good one! Learn more about studying culinary arts in the USA by reading our growing article collection. 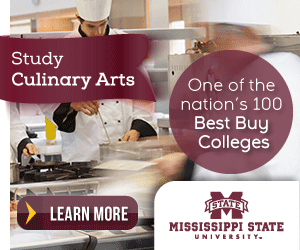 « Study Guide by Subject	« Study Culinary Arts in the U.S.